of hand-crafted and precision cut diamonds. I highly recommend Brian Gavin Diamonds if you’re in the market for a hearts and arrows ideal cut diamond. Almost any diamond will look impressive under the bright spotlights of a jewelry store, but a rare few have the unique combination of precise cut, shape, and angles to hold their brilliance in more natural lighting situations. 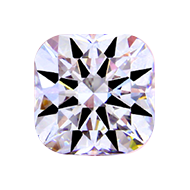 Beyond the basic “4 Cs” (carat, color, clarity, cut/shape) used to determine a diamond’s overall quality, there is another level of excellence that involves the symmetry and reflective quality of a diamond’s cut, and potentially enhances all of the 4 Cs. This reflective quality determines how well a diamond “performs,” in other words, how well it reflects light under all lighting conditions and situations. Brian Gavin Signature and Online Inventory. For the discriminating buyer seeking the finest cut and polished diamonds available, Brian Gavin Signature diamonds exceed all expectations. 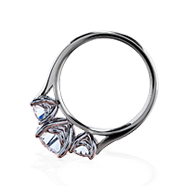 Each displays a unique brilliance and fire that reveals the distinct beauty and personality of the stone, and gives voice to the inner essence of the diamond through its contrast, brightness and scintillation. 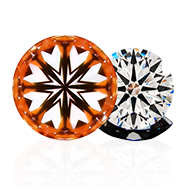 Brian Gavin Signature diamonds go beyond the ideal diamond standard in terms of consistency, precision and cutting design to achieve the level of “super ideal” in visual balance and performance under any lighting condition. These signature diamonds are skillfully shaped to ideal mathematical proportions, using a complex formula in which every facet is placed at the precise angle to create the perfect balance between maximum brilliance (return of light to the eye) and the optimum scattering of light, or "fire" (this is the prism effect that separates white light into its spectral colors). Over the past 12 years, Gavin has produced more than 12,500 of these super ideal diamonds. Today they are prized and widely appreciated around the world for their outstanding beauty. Brian also carefully analyzes and selects diamonds from a variety of local and international suppliers to offer to our customers. These select stones have been cut with excellent precision and come from “conflict free” areas of the world (areas where the local population isn’t exploited in the mining of the stones). Diamonds and jewelry that meet Brian’s strict “Select” quality standards exhibit outstanding cut, color and clarity, as demonstrated by their light performance. 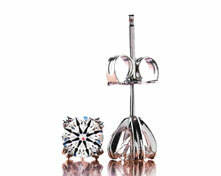 And, for the diamond buyer, they represent the optimum balance between performance and value. With the purchase of Brian Gavin Signature Hearts and Arrows certified diamonds, we offer a unique Lifetime Upgrade Policy. 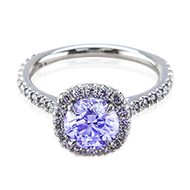 This enables you to apply the value of your current Brian Gavin Signature diamond toward a new purchase. You can apply the original purchase price (less shipping) towards your upgrade and simply pay the difference. By Brett Withers on January 11, 2019 Awesome diamond, cannot even see the blue in it. By Vincent Andolino on December 29, 2018 Surprised my wife for Christmas with this amazing diamond solitaire ring, she could not get over the brilliance! By Kevin Hereford on October 19, 2018 As Beautiful as described. By Gene Sun on January 04, 2018 The best I have ever seen, high value at a reasonable price, unlike brands, this offers everything and far beyond. By Christopher Feiler on January 03, 2018 Diamond is gorgeous!! I was skeptical about the size, but the cut is magnificent and well worth it. This is not a small diamond by any means, most importantly looks amazing on finance's finger. Thank you Brain Gavin!! 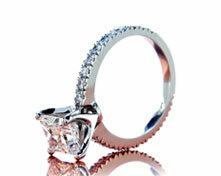 At Brian Gavin Diamonds you will find the best selection of wholesale diamonds online. Buy loose diamonds online from the Internet's leading diamond expert.